We use ClicFlic technology for creating simulations, role-plays, engaging scenarios, and other forms of branching rich media that can be deployed to any smart device. Create and deploy intelligently branching media objects that work on virtually any smart device. Allows non-programmers to create intelligently branching, rich media simulations. Supports multiple deployment options, including web, SCORM, AICC, CD-ROM, and Powerpoint. Simultaneously deploys in BOTH Flash and HTML5, so that output will play on any modern computer, tablet, or smartphone. Provides multi-lingual support for all Unicode-based character sets. Supports distributed collaboration on projects. For more information about our testing technology, including the ClicFlic Authoring System, please review our Technology Platform Overview. A content management system for intelligent media objects created with ClicFlic Professional that embeds everything you need to measure and score competencies and task performance. SimBuilder works seamlessly with ClicFlic Professional to allow you to create and manage a broad library of simulation-based assessments, previews, and training modules. Requires a license to ClicFlic Professional. Allows build-time recombination of smaller simulation objects, or simlets into complete simulations. Promotes re-use of simlet objects across multiple simulations. Creates a universally available image library for re-use of images across multiple simulations. Completely integrated with O*Net for strict or loose mapping of competencies and tasks within a simulation to O*Net data. Supports several different types of templates for standardization of look/feel and functional behaviors across multiple simulations. For more information about our testing technology, including HR Avatar Sim Builder, please review our Technology Platform Overview. Administer job simulation assessments and previews to your website visitors, applicants, or employees. Variety of authorization and authentication options, including directly embedding into your website for seamless access. Supports proctored and unproctored test administration. Supports individual test or test-battery administration. Immediate scoring and score report distribution via website, email, and text message. Full-featured reporting system for sorting/searching. For more information about our testing technology, including the HR Avatar Test Administration system, please review our Technology Platform Overview. 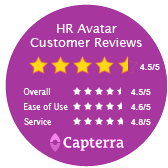 For more information about the HR Avatar Data Exchange API, please View API Document. "Simulation-Based Assessments give the candidate a virtual snapshot of the work they will be asked to do when they are on the job." "Our candidates used to complain when we asked them to take tests, now they tell their friends about their experience!" "These tests help ensure we concentrate our attention on the best candidates."